This is pretty easy and fun to make and SUPER delicious. Top it with a little vanilla ice cream. Spray the inside of a tart pan (or you could use a shallow pie pan) with non-stick spray. Press the crust into the pan. Put the sliced apples in the crust evenly. Sprinkle the brown sugar and cinnamon mixture on top. Mix the crumb topping ingredients together (use a fork)-it will be a coarse mixture. Sprinkle on top of the cinnamon/apple mixture. Bake for 40-45 minutes until top is slightly browned. More of our favorite recipes here. 1 cup of sugar ! this is too much for me. I use 1 tbs only, and no crumb topping, t's light and delicious. Sounds fantastic, Sarah! Thanks for the simple recipe this week! I was just thinking, 5 more minutes on the computer and then I'm going to go bake something "fall" and then here you are!!! This looks like just what I had in mind. 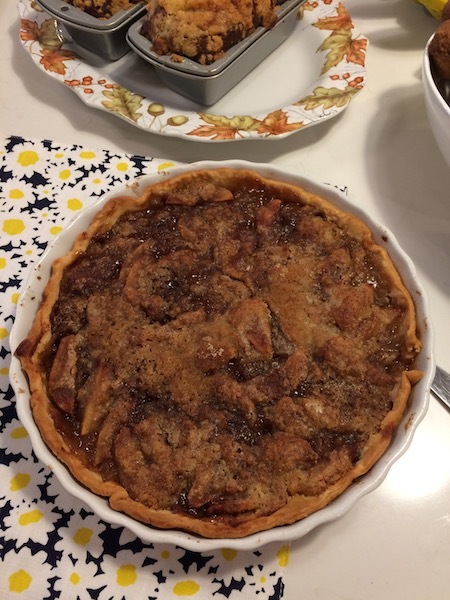 I have a Dutch Apple Pie recipe with the pillsbury crust that I made last week. 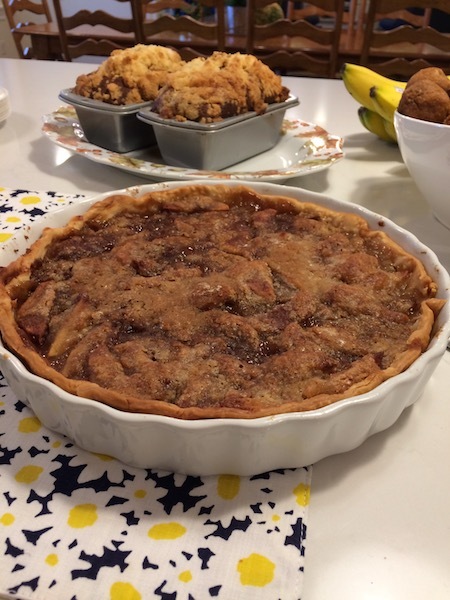 It uses sour cream mixed in with the granny smith apple slices-and my kids did not like that part at all. Your recipe looks perfect.